An English couple and an Irish woman meet at a hotel. Pensioners arrive with their families. The husband asks himself – how many of them would choose to die. The Irish woman wants to know when they’re going to rehearse – because a rehearsal was an important part of the service the husband and wife were offering. The husband talks about what he'll build when they return home to England. They rehearse the woman’s suicide. They will use pills and gas. This is the moment. Suddenly the husband and wife are on a car ferry – the hotel still visible in the distance. The wife is left alone and she calls out to the Universe for some resolution – some peace. She’ll have to live with the voices of many dead people in a house built from their souls. There is no rest for the Irish woman. Though now dead – she still hurts. What if your perfect life was not so perfect? Would you choose to end it all in a sleazy hotel room? That might be the premise for this wonderful piece of operatic theatre from Ireland’s Tony Award winning writer and director Enda Walsh, and composer Donnacha Dennehy, but it conceals a wider story. Entirely, breathtakingly glorious … this is a wonderful production; searing, powerful, funny, moving, mischievous, aphasic, devastating, beautiful. The instrumental score is what crept deepest under my skin: The Last Hotel unleashes a thrilling musical energy. 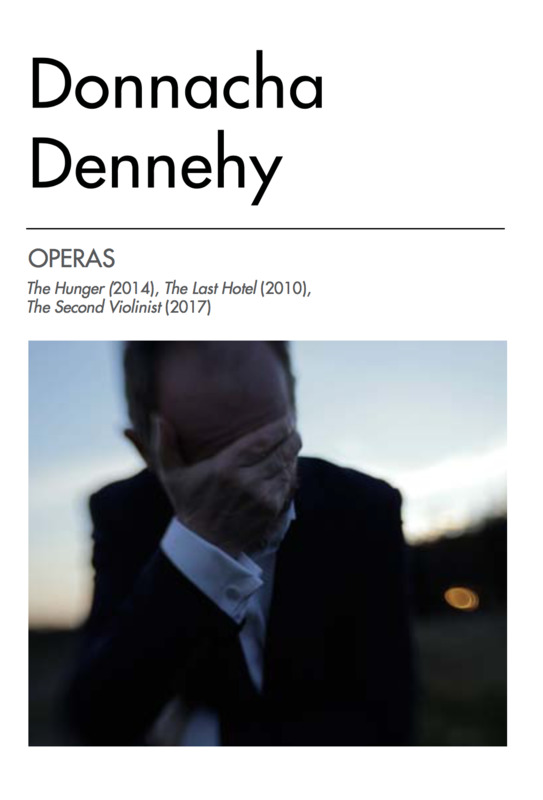 Dennehy’s 12-piece ensemble includes accordion, electric guitar and heavy percussion, and thrums with a savage, unstoppable groove, shouting the unspeakable, seething with emotions that characters are too numb to express. It’s propulsive, gritty and rich.